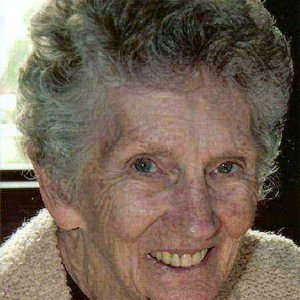 MAJORIE A. TINDAL, (nee Wise) age 86. Beloved wife the late Robert H. Loving mother of Robert C. (Patricia), baby Tindal (deceased), Kathleen Baker (Terry, deceased), Carolyn Brim (Thomas), John and Barbara Tindal-Brady. Dearest grandmother of Kelly Walsh (Robert) and Christopher Baker, Matthew (Jeannie) and Rachel Brim, Alyssa Tindal, Vanessa Carlson (nee Sykora) (Mark) and Aaron Sykora. Cherished daughter of the late Ray A. and Catherine M. Dear sister of the late Mary L. Thellman (Daniel J. ), Raymond J. and the late Richard C. Passed away, Tuesday, Feb. 7, 2012. Funeral Mass, St. Bernadette Church, 2256 Clague Rd., Saturday , Feb. 11 at 10:30 AM. Interment St. Joseph Cemetery, Avon, OH. Friends may call at McGORRAY-HANNA FUNERAL HOME OF WESTLAKE, 25620 CENTER RIDGE RD., FRIDAY Evening from 6-8 P.M. and SATURDAY Morning from 9:00-10:00 AM. In lieu of flowers, the family suggests memorial contributions to Hospice of the Western Reserve, 300 E. 185 St., Cleveland, OH 44119, St. Augustine Health Campus, 7801 Detroit Ave., Cleveland, OH 44102 or a charity of your choice.